My 93 F150 302 has an issue with a slightly rough idle, a slight hesitation when pressing the gas, and a surging when at a constant throttle position. I've replaced the entire ignition system, including the distributor and verified the plug wire routing, replaced the TPS and EGR position sensor. EGR works properly. This problem is only in closed loop. While the engine is cold everything seems to work fine. I can open the throttle a bit, say 1500, and there's a surge, or maybe you could call it an "anti-surge" where the rpms will drop a bit and engine roughens up a bit, then it goes back up and smooths out, then cycles back down. Seems to be more prominent when under load like when going up a hill at around 40 MPH. Vacuum system is tight, zero leaks. You can even hear air rush in to the vacuum line to the brake booster when it's disconnected after shutting down the engine. I cleaned the throttle body and replaced the TB gasket. Checked the fuel pressure and it's 35lbs with the regulator vacuum line connected and 45 the line disconnected. Same on both tanks. New fuel filter as well. MAP sensor seems to be working. No MAF sensor for this truck. I'm totally out of ideas. 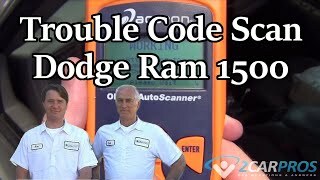 Has truck been checked for trouble codes? 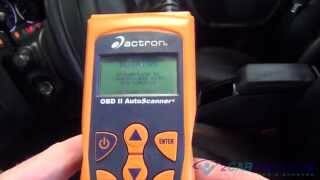 will MAP sensor hold vacuum? Here are two guides to help us get started. Haven't checked to see if the MAP will hold a vacuum yet but will do that right now. I'll give the booster valve a check as well. OK, booster valve works as advertised and MAP will hold a vacuum. Also, no codes. Did you get a code 11 or 111? I checked the codes a few weeks ago and the only abnormal code I got was for the EGR position sensor which I then replaced and the code cleared. If I recall, I did get a 111 code. Good to go. I'll check it again and get back with you in a couple hours. Well out of ideas myself without being there. Really fits vacuum leak try removing EGR vacuum see if that helps. Have gone around intake spraying Carb cleaner to find leak? Sure have. No indication of a leak. I think I've tried the EGR vacuum but I'll try that again to make sure. Any idea of what sensors come in to play when the computer goes in to closed loop? Thanks for your help! Every sensor comes on line to control timing, fuel ect. And a code would set. 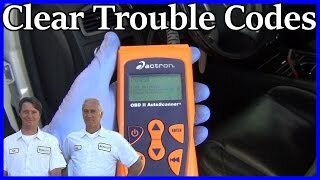 Try this unplug IAC what happens to idle and surge? Sounds good. I'll give that a shot. With the IAC disconnected you have to keep the throttle open to idle. No change in surging. With EGR vacuum disconnected and plugged, no diff in surging and you get a check engine light. I concur that this seems like a vacuum leak issue but the system is completely tight. Actually I've never seen one this tight on a vehicle this old so I was really surprised. Doesn't sound like one but do think there might be a compression issue? Note that this truck sat for about two years until last fall. I purchaced it from the guy that bought it from the guy who let it sit. Maybe a valve seating issue. Hook up a vacuum guage to intake. Is vacuum steady at idle 15+? Or does it flicker in relation to idle? Great idea! Unfortunately steady at 18 at idle. Varys with engine RPM. Drops about 8 when the throttle is pressed then goes back up to 20 or so depending on RPM. Where cam and crank sensores tested /replaced? Has initial timing been checked? Is it stable and does it advance with RPM incresce? Haven't tested the cam or crank sensors. Timing is 10*btdc and advances with the throttle. They don't show either one at NAPA but I'll keep searching for them as well as testing procedures. Reckon my symptoms are sorta the same as his? Thought I'd sling it out there, for observation anyway. Open for any questions with mine. Hope it's simpler than mine! Repetitive, fast hesitations (stumbles), lasting 1-2 seconds, varied in how far the "sets" were apart, it was more evident climbing a incline, while slowly administering gas. Random or none on level ground. Every now and again at idle, but very seldom. New Plugs. Then "genuine plugs". Bah-Hum-bug, nothing wrong with the other new ones, I just installed! A new IAC for Sheets & Giggles! Mega Vacuum leak search several times. Fought with wife many times over situation, 2+ months! Each part seem to fix it for a day or two.I did not mind replacing the suggested parts, as I am all for "PM" and she's got 100,000 miles on her rig. I had tried to get the Technical school to ride me with their portable machine---things did not work out, with their schedule. I went to a salvage yard to get a used pack ($10) to swap around, then buy a new one if solved the problem. So happened, the salvage yard guy had a machine, in a stored code, it said #3 had misfired. My little scanner could not tell me that! Runs perfect now, with the New $79 Coil Pack! Always stick with a Jeep CJ, You can diagnose them, as you hear 'em drive by! My bad that year did not use cam/crank sensor. When you state replaced everything in ignition was coil replaced? OK just talked with a Frien who is Ford Tech said that plug wire miss routing will cause miss and surge see diagrams route this way. If 7-8 and 2-4 routed next to each other surge will happen. Thanks for the advice. At this point I'd believe there's an EMI feedback signal from the Space Shuttle comm system causing my problem! :) Don't have a coil pack like you described. Got them on my wife's Volve though so I'm familiar with what you're speaking of.